Media Elements designed and built this website with a very limited budget. 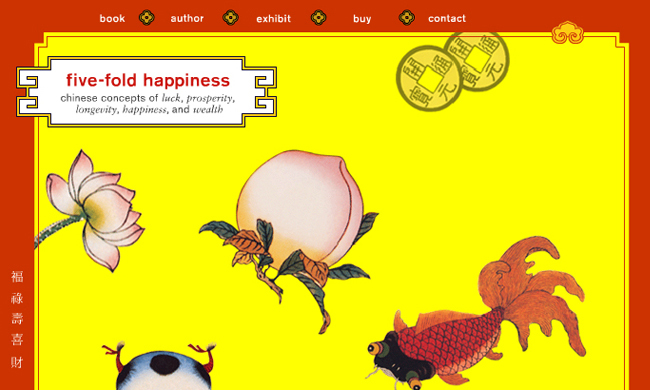 Five-Fold Happiness is a book that describes the Chinese concepts of Luck, Prosperity, Longevity, Happiness, and Wealth. We feel we accomplished a lot of work in a very short amount of time and a limited budget even with the difficulty of having an international client.